Moray whisky specialist Gordon & MacPhail (G&M) has teamed up with Scotland’s southernmost distiller in a distribution deal targeting the UK market for premium single malts. Elgin-based G&M said yesterday it had become the sole UK distributor of Bladnoch Distillery’s single malt range. The tie-up is a key milestone for Bladnoch, based near Wigtown in Dumfries and Galloway, which only recently restarted production after a decade in mothballs. G&M UK sales manager Stuart Ellis said the distiller and distributor expected to sell about 700 cases with the first 12 months of the deal, which is initially for three years. “It fits with our business, which is aimed at the premium end of the market,” he added. 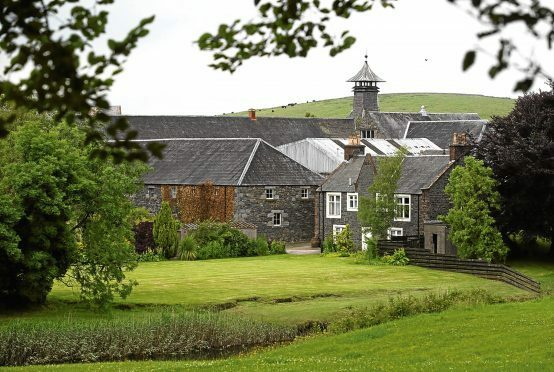 Bladnoch’s single malt range, including the eight-year-old Samsara, 15-year-old Adela and 25-year-old Talia expressions, will also help to boost the availability of Lowland whiskies at the top-end of the market. The whiskies have been crafted by Bladnoch master distiller and blender Ian MacMillan, who joined the distillery after its acquisition by Australian entrepreneur David Prior about two years ago. Bladnoch’s range will be added to G&M’s growing “exclusive distributor” portfolio, which also includes single malts from Tullibardine, Glen Scotia, Loch Lomond, Inchmurrin, Inchmoan, Armorik (French) and Paul John (Indian). In addition, G&M distributes Blanton’s bourbon, Jean Fillioux cognacs and Magnum single malt whisky cream liqueur. The distribution business is only part of the multi-faceted family-owned business, which also includes retail, wholesale, international trade partnership, distilling and whisky maturation. Mr Prior said: “I am delighted we will be represented by Gordon & MacPhail in the UK. The Bladnoch Lowland single malts add to and fill a gap in the range of Speyside, Highland and Campbeltown malts they already distribute. Bladnoch is currently celebrating its 200th anniversary. Mr Prior, who made a fortune from yoghurt, rescued it from administration in July 2015.